If you recall, it wasn’t Xiaomi that introduced the concept of a bezel-less phone. We are talking about the device named ‘Aquos Crystal’, launched by Sharp in August 2014. 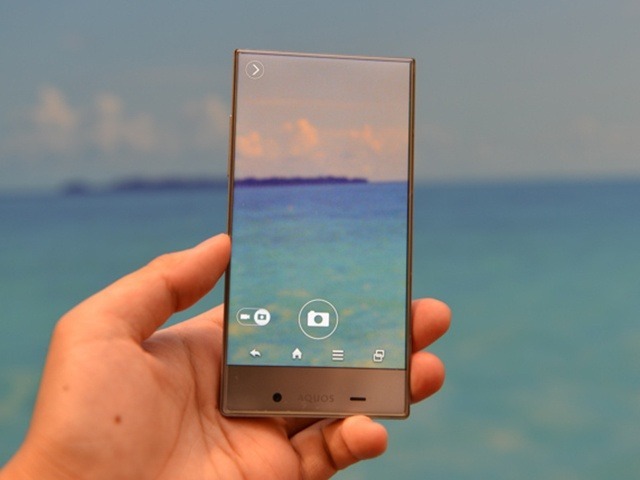 It was a futuristic smartphone with ‘almost’ no bezels on either side as well as on the top. Now, the company is going to launch a couple of smartphones next month that are supposed to be designed on the same ‘bezel-less’ concept. The model numbers of these two phones are respectively Sharp FS8010 and FS8016. 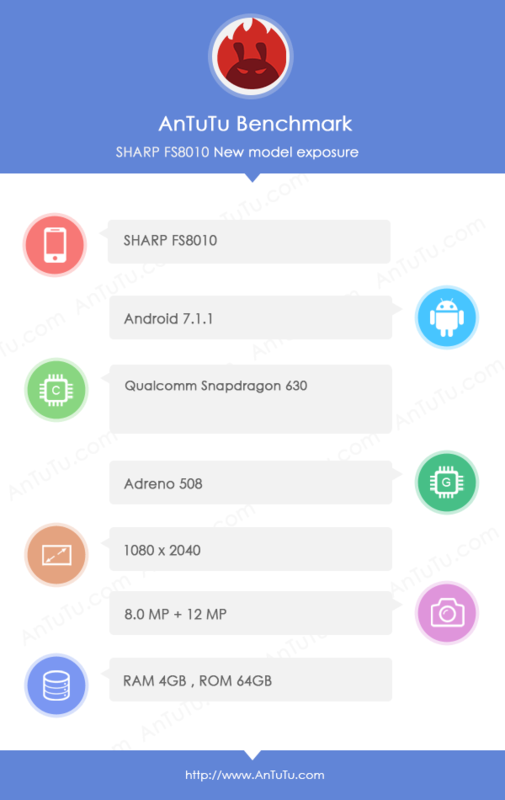 Today, the Sharp FS8010 was spotted on AnTuTu benchmark that revealed some major specs of the phone. One thing that we have already heard about this phone is that it features the Snapdragon 630 processor which is an upgrade to last year’s 625. Last year’s 625 chip is based on the 14nm technology, and hence it is power efficient as well as robust. 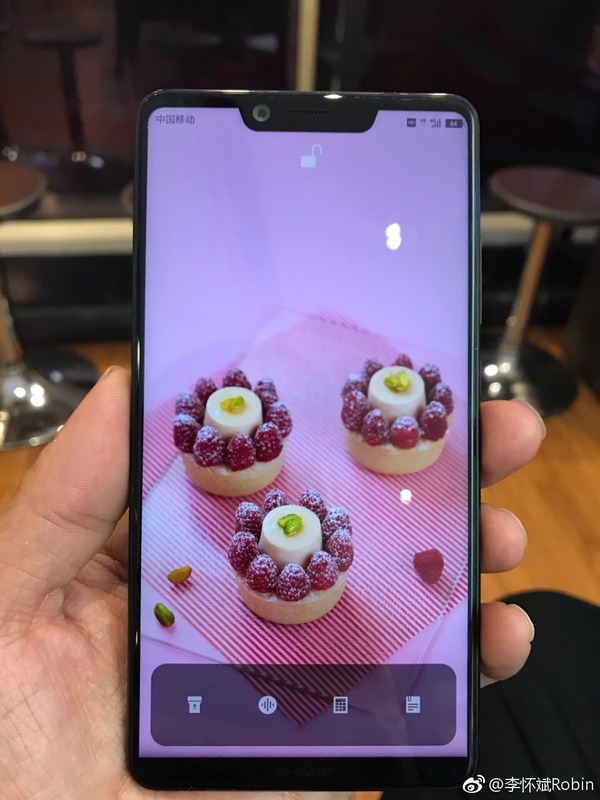 The Snapdragon 630 offers up to 30% higher graphics performance and twice the LTE downlink speed compared to the prior generation. So yes, the Sharp FS8010 has the Snapdragon 630 processor with the Adreno 508 GPU. Talking about other specs, it has a screen with the resolution of 1080x2040p, and we are expecting it to be 5.5-inch. Remember the Mi Mix? Well, that bezel-less phone from last year had the same screen resolution, so it pretty much confirms that the upcoming smartphones from Sharp are indeed coming with a bezel-less display. On the camera side, the FS8010 has a 12MP rear and an 8MP front-facing camera. There is 4GB of RAM and 64GB internal storage. Lastly, Android 7.1.1 Nougat runs out of the box. Its bigger brother, i.e., the Sharp FS8016 has the same specifications except the fact that it has a more powerful Snapdragon 660 processor. We might see a change in the battery size of these two phones, but except that, they are going to be the same. So, what are your views about the specifications of the FS8010? Do let us know via the comments section.